Dominica is one of the few countries left in the Caribbean that I haven’t visited. 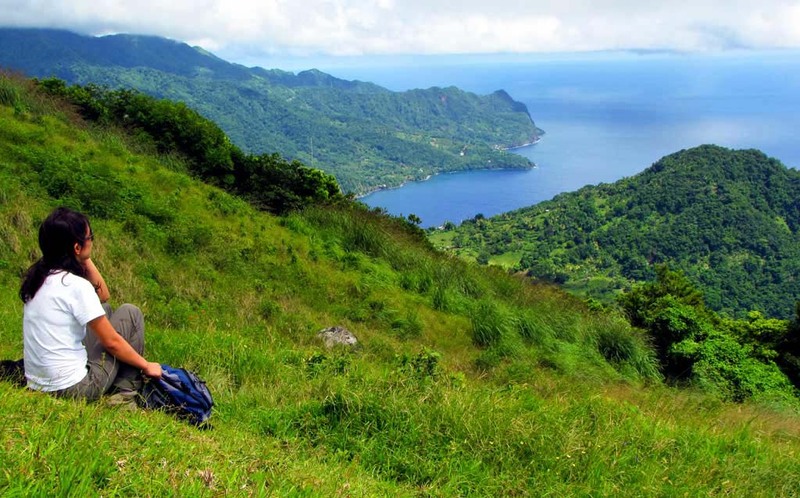 My Dominica bucket list includes hiking, adventure, nature, culture and lots and lots of water activities. Starting Wednesday, I will discover this unspoiled destination. My trip will include hiking waterfalls and rappelling canyons. I will dive, snorkel, swim, whale watch and relax on the beach. You know when I visit a new place, I’m all in. My packed schedule will introduce me to the best of Dominica and I’ll be sure to share it all with you. Here’s a look at some of the highlights of my schedule. 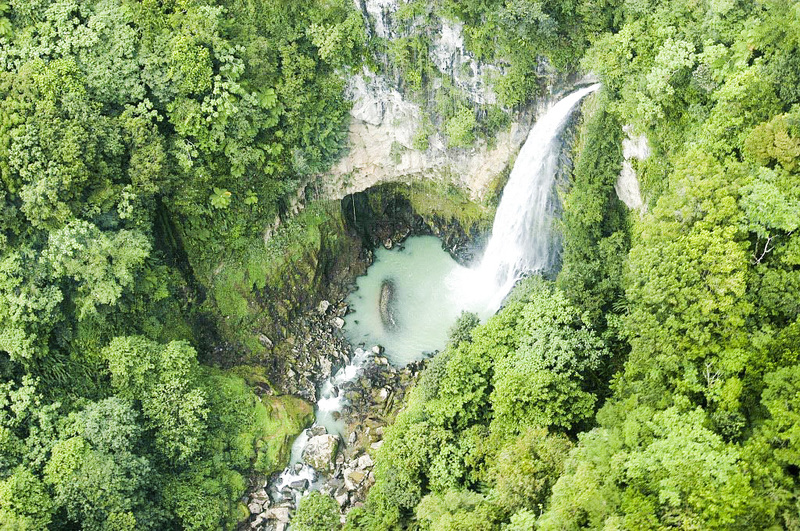 Sari-Sari Falls is located on the east coast within the village of La Plaine, and starts with a steep incline to the bed of the Sari-Sari River. The trail traverses along the river bed, crossing several times, and meanders along the mountain side. These famous twin waterfalls are a 20 minute drive from Roseau. There offer a beautiful swimming spot and relaxing hot pools. The trail is less than a mile but my camera will be getting a workout from all the photos I plan on taking. 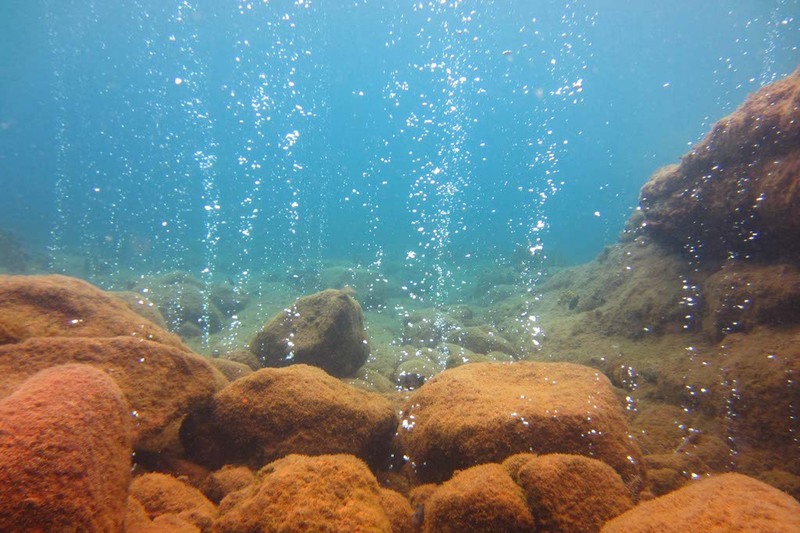 Underwater volcanoes are the source of Dominica’s dramatic underwater landscape: craters, chasms and sheer walls plunging thousands of feet, and soaring pinnacles formed by lava flow. I’ll snorkel through the warm bubbling waters crated by geothermal vent, sort of like my swim in Antarctica but maybe a little less drastic. I’ll share photos daily on Facebook, Twitter & Instagram. Follow along there, or watch for the hashtag #LovinDominica, as I make my Dominica bucket list a reality. I have never even heard of Dominica but I just looked it up and it looks lush and beautiful. This will be our next Caribbean destination. We were searching for a great fit for us. I can’t wait to read your posts this week. My wife and I visited Dominica last year for scuba diving. Are you going to dive there? I won’t be diving in Dominica because I’m not certified yet. Hopefully I will get my PADI cert. this year. It’s been on the list for too long. Do you have a favorite dive spot? Antonio went to Dominica last year (while I was working) and loved it! I can’t wait to make it there one day. I’m not sure about the seasons but I know there are some opportunities to see sperm whales there and I believe you can do it snorkeling. Anyway, hope you are have a fun time. So psyched to hear you’ll be hitting Dominica! I haven’t managed to make it there yet myself so I’ll be watching your photos and posts with keen interest. Sounds like an amazing place for some adventure and awesome views! Just reading about this trip is giving me itchy feet, you’re going to have an incredible time. Do they have beautiful beaches as well there? Or maybe it sounds like you won’t have any time to be sitting by the beach haha. Have a great time. I totally didn’t realize that this was separate from the Dominican Republic! I’ll have to visit some day! And how cool would it be to swim near the volcanic vents! I need more than a beach when it comes to my island vacation. 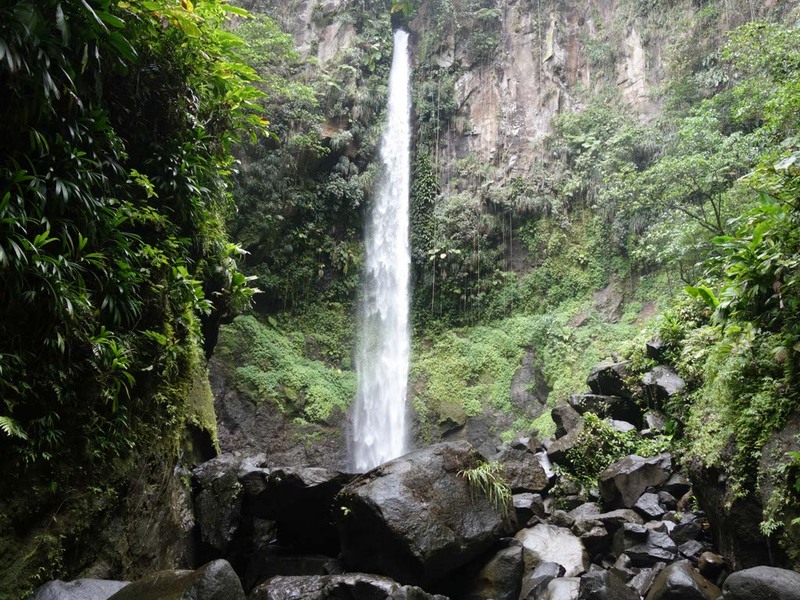 I love all the hiking options and waterfalls Dominica has to offer. Your itinerary sounds incredible! I haven’t been there, so I’m looking forward to hearing more about your adventures around Dominica. I particularly think visiting the underwater volcanoes would be a really cool experience. 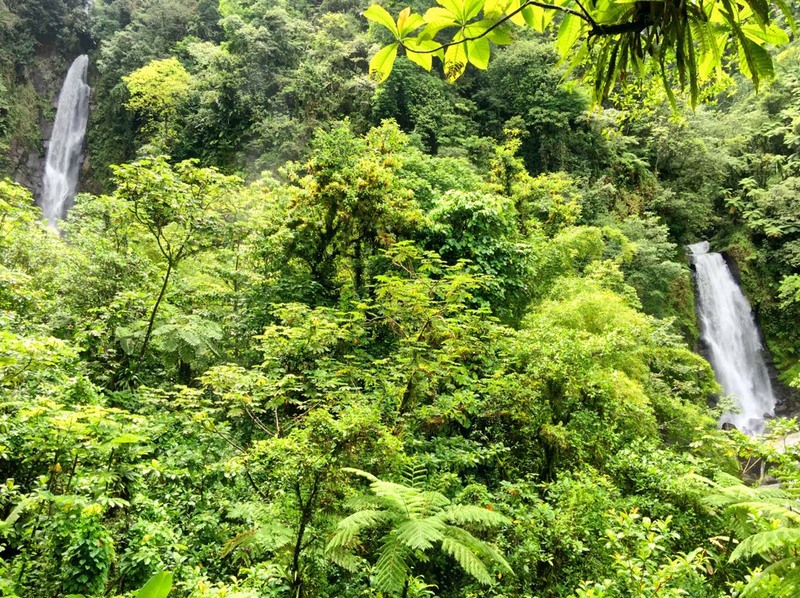 I’ll go anywhere with hot springs – Dominica is now on my list, too. Have a great trip! I have not been to Dominica but have heard great things. Those waterfalls look breathtaking! Cannot wait to follow along on your adventure. This is awesome stuff! Right up our alley. We love Dominica. You captured the waterfalls so perfectly. They are such a seamless beauty on the island. Surprising and expected at the same time. Love this!